The NZ Government has announced changes to the rules around medicinal cannabis – but what do they really mean? The changes announced by the Government today will do little to improve safe legal access for patients using cannabis medicinally, says cannabis advocacy group NORML. 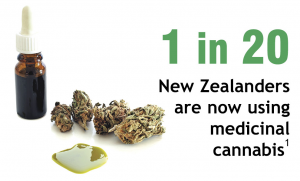 An estimated one-in-twenty New Zealanders use cannabis medicinally. Approximately 150 patients have been approved to use Satixex®, while three other patients have been approved to use other “non pharmaceutical cannabis products” (Elixinol, Aseco and Tilray, respectively). Sativex® remains the only approved cannabis product. The only change announced by Associate Health Minister Peter Dunne is delegating his special authority to approve applications to the Ministry of Health. There have been at least twenty applications for Sativex® declined by Ministry of Health officials. These applications were apparently never put before Dunne. Likewise, Helen Kelly’s application was not technically rejected, but was strongly encouraged to be withdrawn. 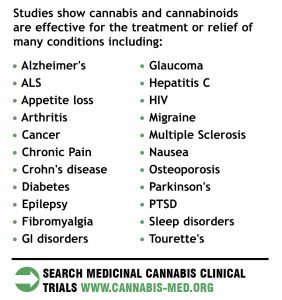 The change only applies to “non-pharmaceutical medicinal cannabis products“. Access to Sativex® remains difficult, and at $1200-$1400 per month is prohibitively expensive for most patients. The policy change announced by the Government today will not change that. While “non-pharmaceutical medicinal cannabis products” will no longer require Peter Dunne’s personal approval, that won’t change the source of most of the delays and obstructions: the Ministry of Health. Patients must still convince a specialist doctor to apply for special approval from the Ministry of Health. Even after gaining approval, the specialist must then obtain an import permit to actually import the product, liase with Customs in both countries, have the original of the import permit couriered to the supplier, arrange a pharmacy in NZ to store and dispense it – a process that can cost around $3000 and take several months. For example the Canadian product Tilray was promoted as “approved” in October 2016, yet that approval was only for one specific patient, Dr Hunana Hickey, and she still does not have her medicine five months later. “The change made today is a step in the right direction, but it is a very small step and it will remain extremely difficult for patients to obtain safe legal access to medicinal cannabis,” said Mr Fowlie. “However it does prove the rules can be changed whenever they want – and this could be done any time, without needing a law change. “Instead of blaming doctors, the Government could do a lot more to facilitate safe legal access to medicinal cannabis. “NORML advocates for broader changes that would benefit more people. For example they could change section 22 of the 1977 Misuse of Drugs Regulations, which prohibits doctors from prescribing cannabis (while allowing them to prescribe cocaine and opioids), and is the root cause of all the unfair restrictions on medicinal cannabis. It could be easily amended so that doctors could prescribe cannabis medications like any other medicine. Products that are not pharmaceutical grade or not pharmaceutically prepared will not be approved for use in clinical trials. The guidelines to assess applications to prescribe a non-pharmaceutical grade cannabis-based product are more rigorous than the guidelines to prescribe pharmaceutical grade products with or without consent for distribution in New Zealand. This reflects the lack of authoritative quality and safety data and the lack of robust efficacy data for these products. The use of a non-pharmaceutical grade product will not contribute meaningful data to the pool of scientific research on the safety and efficacy of cannabis-based products in the condition being treated. This is due to the inability to replicate the results (due to variation in the strength and composition of the product) and the inability to generalise results from a single patient to a broad patient group. Application form – non-pharmaceutical grade cannabis-based product (docx, 466 KB). 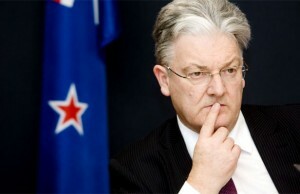 Following his decision on 1 December last year to remove the requirement for Ministry of Health approval to prescribe Sativex for Multiple Sclerosis, Associate Health Minister Peter Dunne has today delegated decision-making for the prescribing of all cannabis-based products to the Ministry of Health. “Last week I wrote to the Director-General of Health, advising him that as of 8 February 2017, applications from specialists to the Ministry to prescribe non-pharmaceutical cannabis-based products will no longer need Ministerial approval. Approval for pharmaceutical grade cannabis products was similarly delegated some years ago” says Mr Dunne. “As I stated in my delegation letter to the Director-General, when applications first began to be received it was my view that the final decision appropriately lay at Ministerial level, rather than exposing officials to risk, given the complicated and contentious nature of the issue – that is to say the buck stopped with me”. “I have approved every application that has come before me with a positive recommendation – within a matter of minutes once the application came across my desk. “Since the first application was approved, guidelines have been developed, consulted on and simplified to allow specialists who are interested in accessing such products for their patients a clear, straight-forward and unobstructed pathway to acquiring the appropriate products. “I am satisfied that with the development of these guidelines, and with a number of successful applications having been subsequently completed, any risk associated with the early processes has largely abated and I have confidence in the Ministry of Health to handle the process in its entirety from now on. “It is my intention to write (this week) to the New Zealand Medical Association and the Pharmacy Society of New Zealand outlining my decision and my ongoing expectation that medical professionals consider the prescribing of cannabis-based products with an open mind. “I also intend to include a list of internationally available cannabis-based products that are either pharmaceutical grade or Good Manufacturing Practice certified, to provide additional clarity on the issue”, Mr Dunne said. Posted in In the News on February 8th, 2017. Patients seeking medicinal cannabis for pain relief will no longer need the approval of a minister, but instead will go to the Ministry of Health. The announcement was made this morning by Associate Health Minister Peter Dunne following a heavy hint yesterday by Health Minister Dr Jonathan Coleman that a relaxation of the protocol was imminent. The delegation changes hands from today. Dunne said doctors will apply to the ministry for approval if a patient requests access to cannabis-based medical products. Dunne said when applications first began, it was his view that the final decision lay at a ministerial level because of the contentious nature of the issue, “that is to say the buck stopped with me”. Guidelines now gave specialists a clear pathway for acquiring the appropriate products, which meant the risks associated with the early process had abated and he was confident the ministry could take over. Two pharmaceutical-grade products are available in New Zealand – Sativex and Tilary – but neither are funded by Pharmac and at $600-1200 a month the cost may remain prohibitive, NZ Drug Foundation executive director Ross Bell told Newshub. Radio NZ:Govt to ease medical cannabis laws? Otago Daily Times: Govt’s medicinal cannabis move?